Getting electrocuted can cause serious injuries, some of which can be permanent. The Bureau of Labor Statistic reveals that most electrocution accidents in Maine occur in construction and that around 400 people lose their lives each year because of electrical injury. Chris Beard, one of the leading electric shock attorneys in the US, has created this website to aid Maine personal injury lawyers when dealing with electrical injury cases. Keep in mind that Maine follows the Modified Comparative Negligence, meaning that the value of the damages will lower equitably and if the claimant will be found equally at fault as the defendant, they will not recover damages. 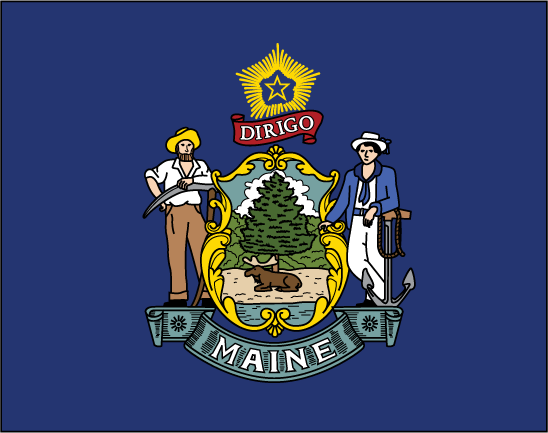 The limitations on damages in Maine with governmental entities are of $400,000 cap per occurrence. Next, you discover what are the 10 most important things that can help your client recover in the case of an occupational or non-occupational electrical injury accident. One of the most important pieces of evidence can be a photograph of the accident scene. Indifferent of the place where the electrocution accident occurred, if your client was injured by a phone charger, car battery, due to a missing hazard sign, or if they suffered a workplace electrical injury in construction. Photographing the accident scene can provide valuable information and can help determine the liable person/ entity. The tool or appliance that caused the accident should be preserved immediately after the accident. During the investigation the tool may be investigated and based on the results, an expert witness can testify for your client. Witnesses can offer valuable information about the electrocution accident. Depending on where the accident occurred, you may have to contact your client’s coworkers or relatives who were present when the accident occurred. Electricity is very dangerous for the organic tissue and can cause various injuries some more severe than others. Some of the most frequent electrocution injuries met in Maine include brain damage, chronic pain injury, scars, electrical nerve damage, internal bleeding, arrhythmia, and many more. The electrical injury can be more severe for women during pregnancy. Maine electrical injury lawsuits can become more difficult without knowing the local building codes. The state codes can be clear, but certain cities such as Portland, Augusta, Bangor and many others have adopted their own electrical building code. It is important for an electrical injury attorney from Maine to prepare their clients. Without proper “training” chances are that your client will say something they shouldn’t have about the electrical injury and which might hurt the case, especially when dealing with an insurance company. By preparing the electrocution victim, you ensure as a lawyer that the chances of winning the case and the value of the compensation are maximized. Finding the right witnesses can provide you with the information and statement needed to win the case. It is best to act fast when searching for witnesses. As you may know already, witnesses tend to “vanish” due to various reasons. A good electrical injury attorney acts as soon as possible. As a Maine electrical injury lawyer, you have to get in touch with some of the best electric shock experts. You may need experts with various specialties, including electrical engineers, construction safety experts, economists and more. Usually, the entity/person responsible for your client’s electrical accident can be found in the chain of distribution. If you determine the chain of distribution, you find out who can pay your client’s compensation. The entities from the chain of distribution include the manufacturer, designer, supplier, retailer, wholesaler, etc. Many personal injury attorneys from Maine believe that dealing with electrocution claims can be done the same way as other types of cases. You may be the best person for the case, but you don’t have to do it alone, especially if it is the first time dealing with electrical injury cases. Chris Beard is one of the leading electrical injury lawyers in the US and already knows all the best ways of dealing with this type of case. In addition to this, over the years, Chris has met the best electrical injury experts in the nation, which he can put at your disposal. Click here to find out how you can get Chris Beard to aid your case. You can contact Chris by calling (888) 300-0585 or through email at [email protected].